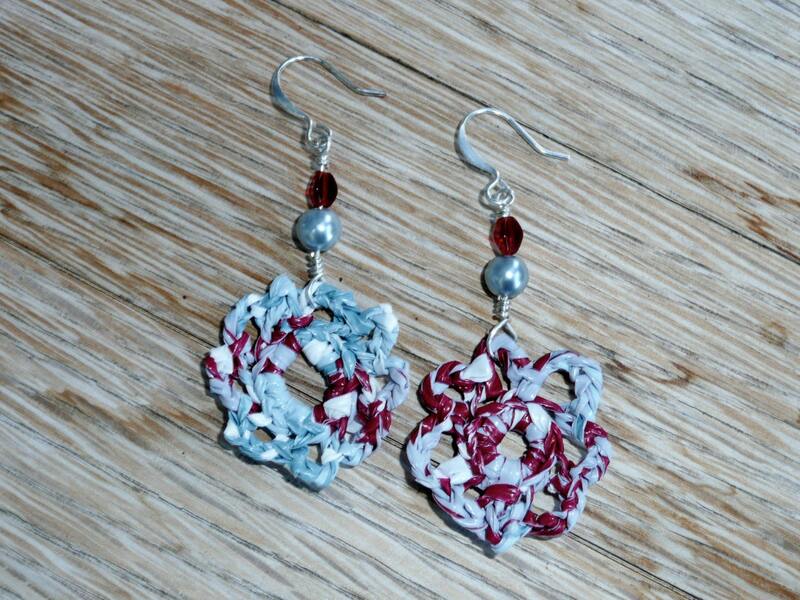 Flower up pearls - Unique flower shaped earrings made out of a recycled shopping bag with a glass pearl and a red glass bead. 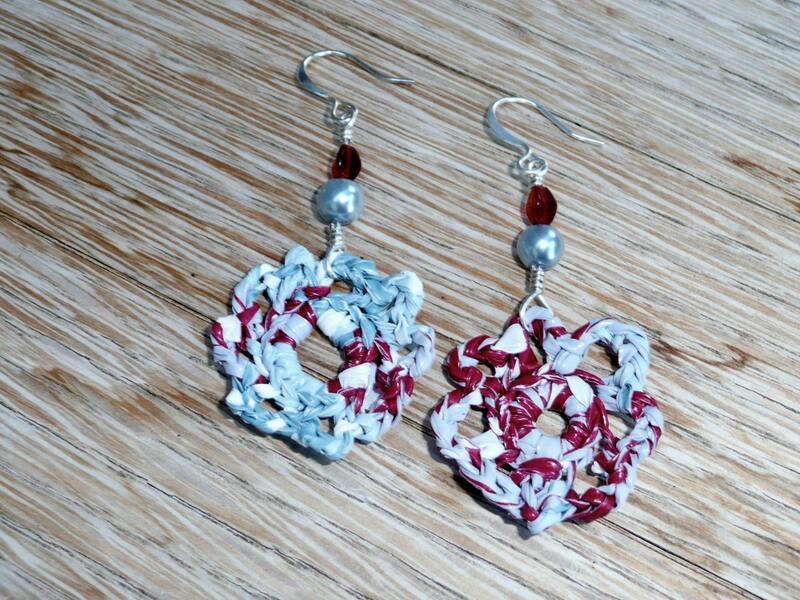 These cute and unique flower shaped earrings are made out of a recycled shopping bag in red and grey. They have been accented with a matching glass pearl and a red glass bead. 2.5 inches or 6cm. long.